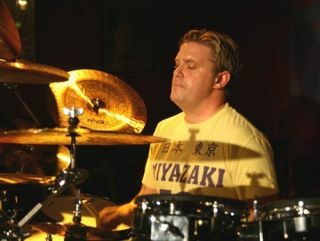 Craig Blundell is continuing his blossoming reputation as the UK's busiest drummer with two new clinic dates. Craig will put on two masterclasses at Newcastle College on 12 June. The first will kick off at 1PM, with the second following at 4PM. Tickets are available for just £3 and Craig will be on hand afterwards to share the knowledge built up during his seemingly never-ending list of kit commitments. These follow hot on the heels of his announcement of a Nevada Music clinic next month and his joining of prog supergroup Frost. Not only that, Craig has also just launched a shiny new website for his genre-defying Dr oKtopUs project, which you can find here.